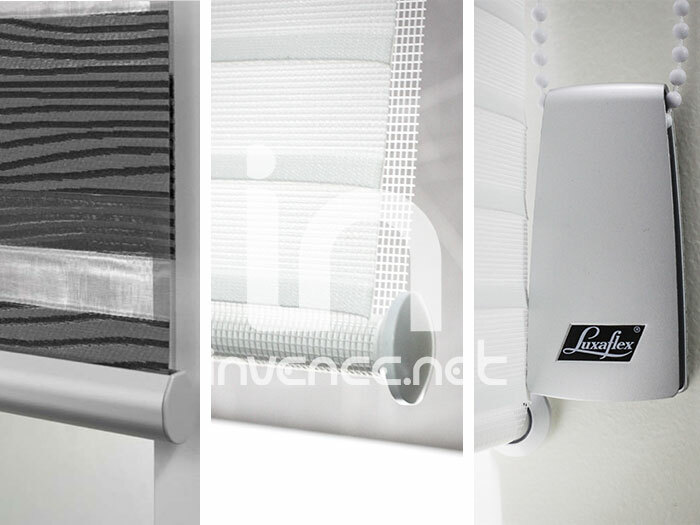 Special and recently very popular type of blinds are so-called double-roller blind - Twinrollo. Their big advantage is the combination of two systems - which may be a unique replacement for blinds or curtains and jalousie. 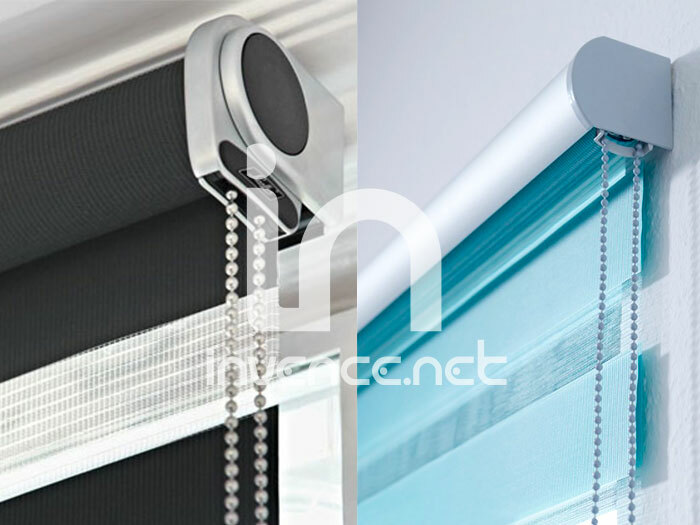 This type of roller blinds for windows - Twinrollo is custom made according to your specifications and we guarantee an extended warranty of 5 years. The price of Twinrollo depends on the dimensions (width, height) of the desired material and selected component (cassette or without cassette embodiments, control chain, drive motor 230 V, battery drive …). Twinrollo so-called-Day and Night, combine lightness and airiness of curtains with the practicality and functionality of conventional roller blinds. The material consists of horizontal stripes of alternating transparent and non-woven fabric whose mutual displacement can continuously control the light transmittance into the room. Twinrollo can be controlled by the chain, then variations in motor button or remote control. The motor can be 24V or 220V. We offer either five channel remote control or sixteen channel remote control. We make a number of technical design (cassette or exposed structures) and of course we have a large selection of fabrics to satisfy even the most demanding client. We offer more than 100 species - see our swatch of fabric samples of Twinrollo. More technical information about the Twinrollo can be found here..